AutoImmune Supplements for Horses deal directly with helping the horse’s immune system to strengthen and become more efficient. Having equine health products that support and build your horses autoimmune system will make the difference in your horse’s ability to fight off disease and infection. 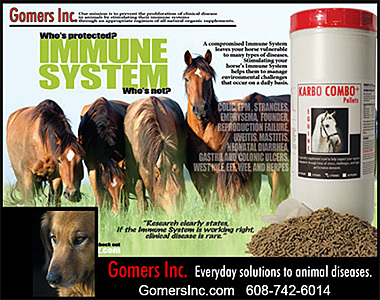 Make sure you have products and supplements to help your horses autoimmune function today.